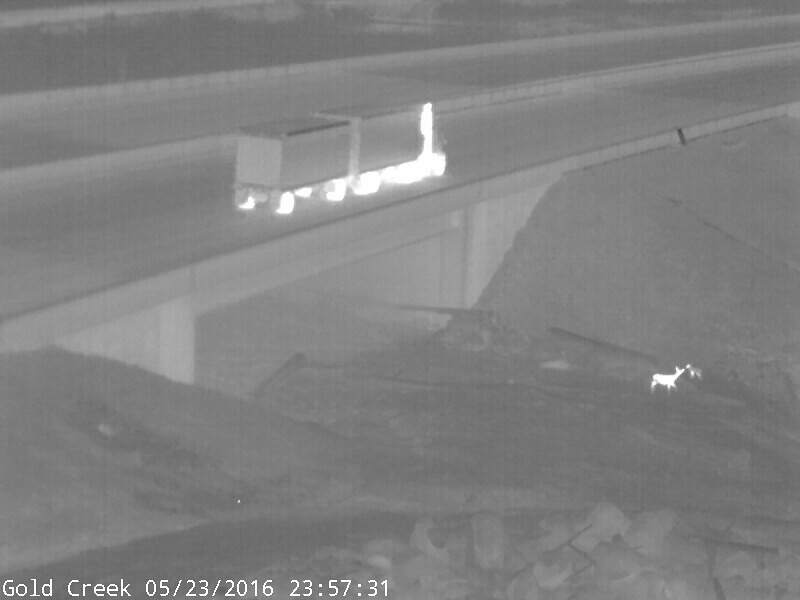 Want to share your sightings and adventures along I-90 on social media? Post to our Facebook page or use the hashtag #I90Wildlife on Facebook, Instagram or Twitter! We’ll reshare photos of wildlife in the Snoqualmie Pass corridor. With new options to safely travel over or under Interstate 90, wildlife are finding safer passage in Washington’s Cascade Mountains. While Interstate 90 is a vital east-west transportation corridor in our state, it also bisects a critical north-south wildlife corridor for animals moving throughout the Cascade Mountains. 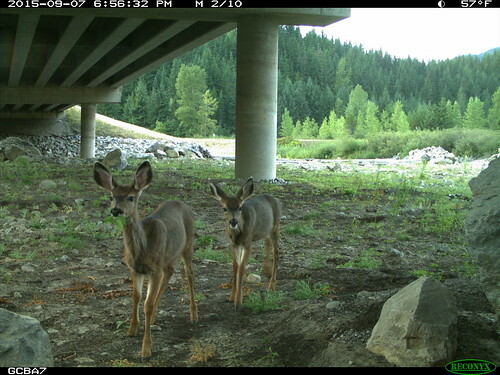 New wildlife crossings between Snoqualmie Pass and Easton help protect motorists from collisions while reconnecting the Cascades for wildlife. Collecting reports of live and dead wildlife sightings along I-90 between North Bend and Easton in the Snoqualmie Pass region of Washington state. The data motorists provide will allow public agencies and conservation groups information about the movement of wildlife within the I-90 corridor. Sharing the results from multi-party fish and wildlife monitoring in the I-90 Snoqualmie Pass East Project area and surrounding habitat through our blog, photo galleries, Facebook, Flickr and other mediums. I-90 Wildlife Watch is led by Conservation Northwest, a regional wildlife and wildlands non-profit organization, with support from Central Washington University, the Washington State Department of Transportation, the Washington Department of Fish and Wildlife, the U.S. Fish and Wildlife Service, and the U.S. Forest Service. Wildlife are on the move around Snoqualmie Pass! Check out photo highlights below, or view the full Flickr gallery of wildlife in the I-90 corridor, including animals using the newly constructed wildlife underpasses and photos you submit of your wildlife sightings. Enjoy the photos and videos in these galleries. Individuals, non-profit organizations and members of the media are free to use them in presentations or publications, but we request that you please display the photo credit shown on the photo if you do. Contact communications@conservationnw.org if you have questions regarding photo use. 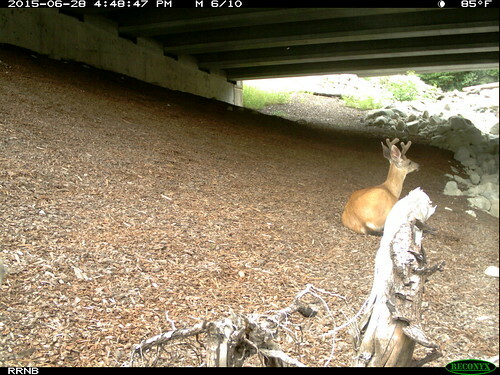 The I-90 Snoqualmie Pass East Project is setting a new standard for creating safe passage for people and wildlife in Washington’s Cascades with dozens of wildlife underpasses and three wildlife overpasses planned over a 15-mile stretch from Hyak to Easton. Collaboration and science have informed this project every step of the way, from design through construction. With several crossing structures complete and the full project funded, monitoring to ensure these measures are working is important. Additionally, wildlife monitoring on the habitat adjacent to the highway helps to inform natural resource management and conservation efforts while providing insight into what species may utilize the crossing structures in the future. Links below offer greater information on the project and suite of wildlife monitoring completed or underway. Read more about the I-90 Snoqualmie Pass East Project and efforts to monitor wildlife on the move in our resources library. 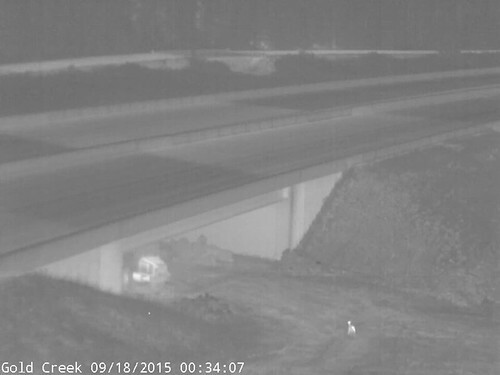 Or learn more about I-90 Wildlife Crossings in this video!